Christmas is one of my favorite times of the year. We have several family traditions during the holidays. 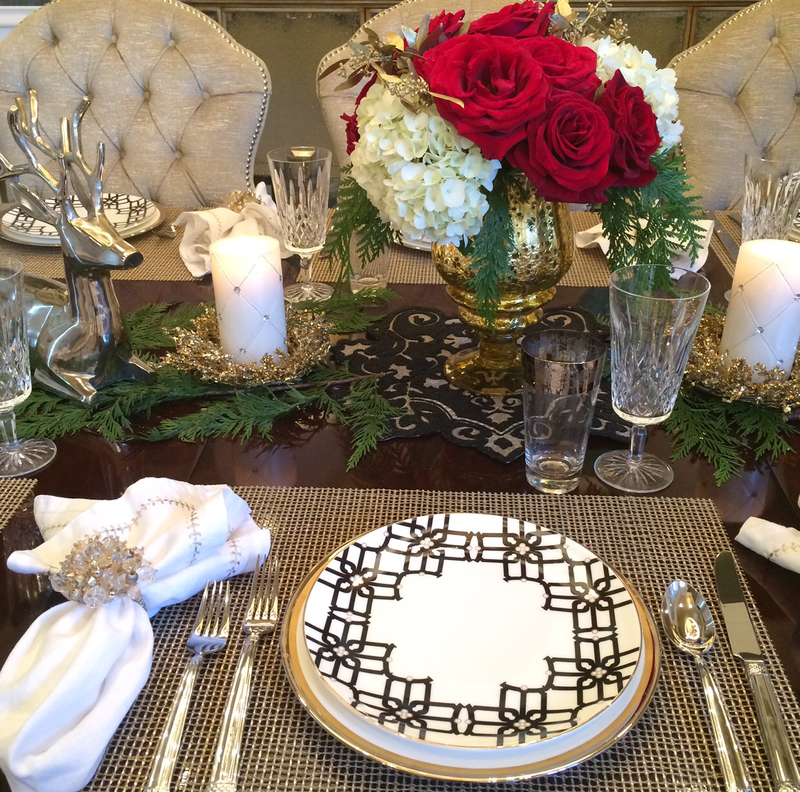 I’m planning our menu & tablescapes today so I was looking back thru old photos & thought I’d share a few of our favorite ways to celebrate the Christmas season. 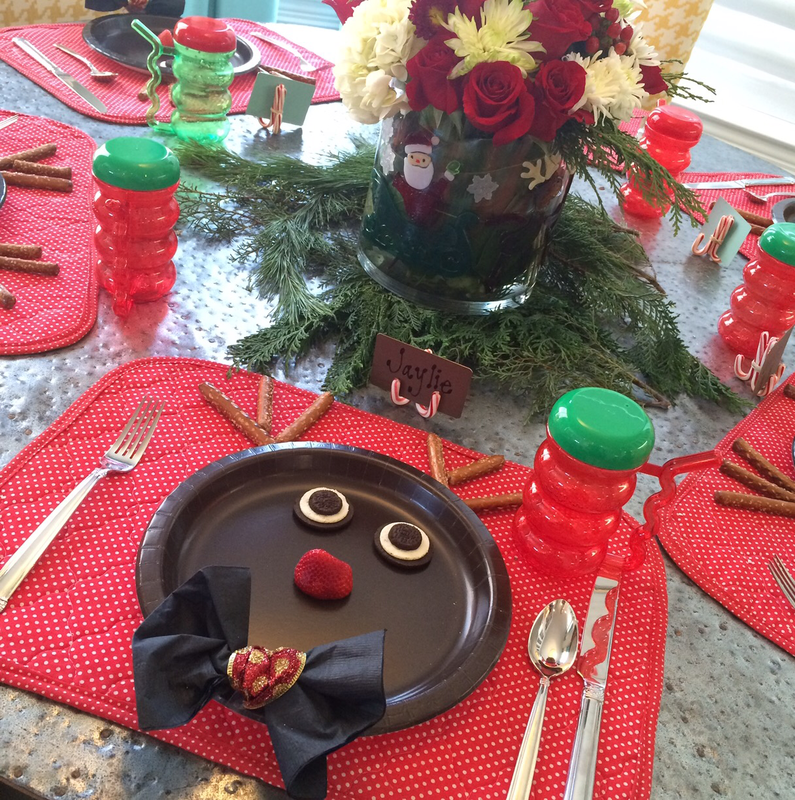 This was last year’s tablescape. I love to mix & match my china & crystal. The water glasses were my maternal grandmother’s. 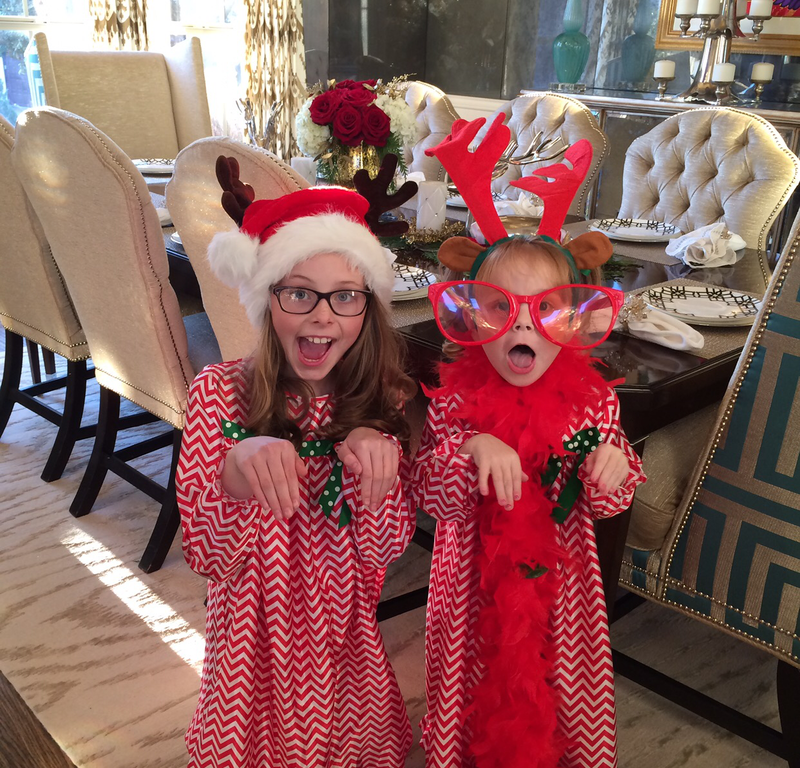 My girls both really get into helping decorate & set the table. 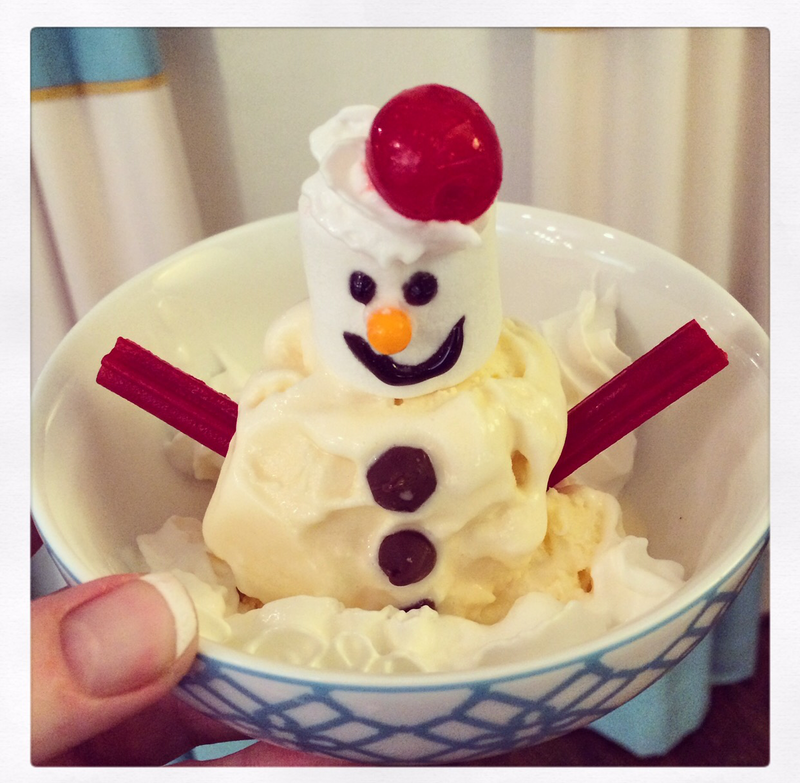 Last year we even got a little festive with our ice cream & turned them into snowmen. 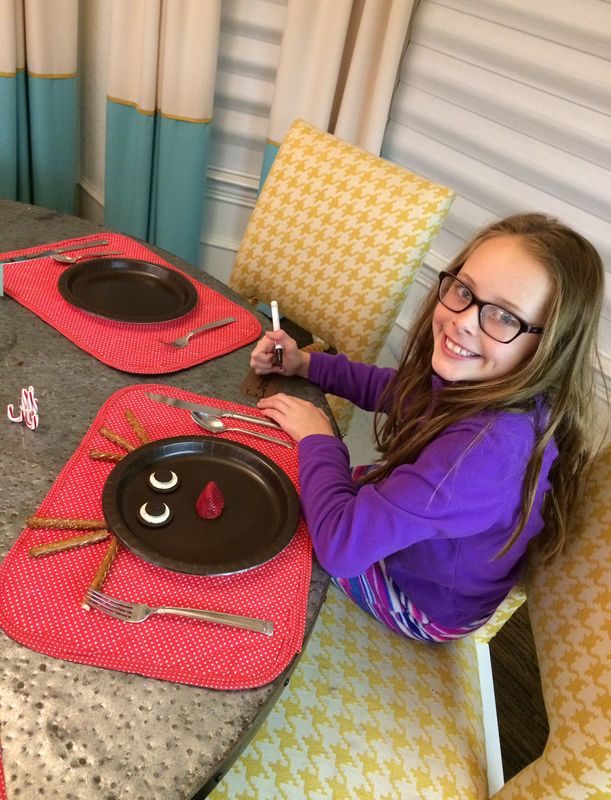 My daughter Jaylie is in charge of the kids’ table. 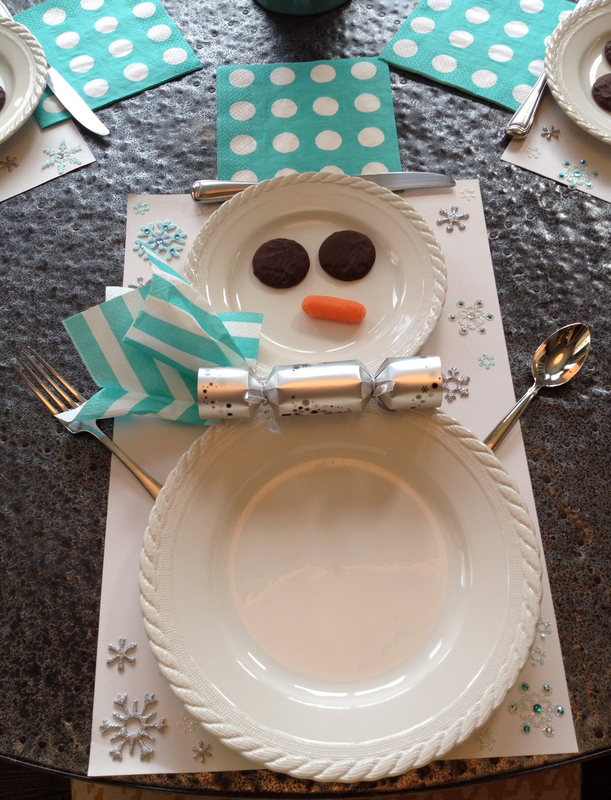 Every year we come up with a fun design out of paper plates. 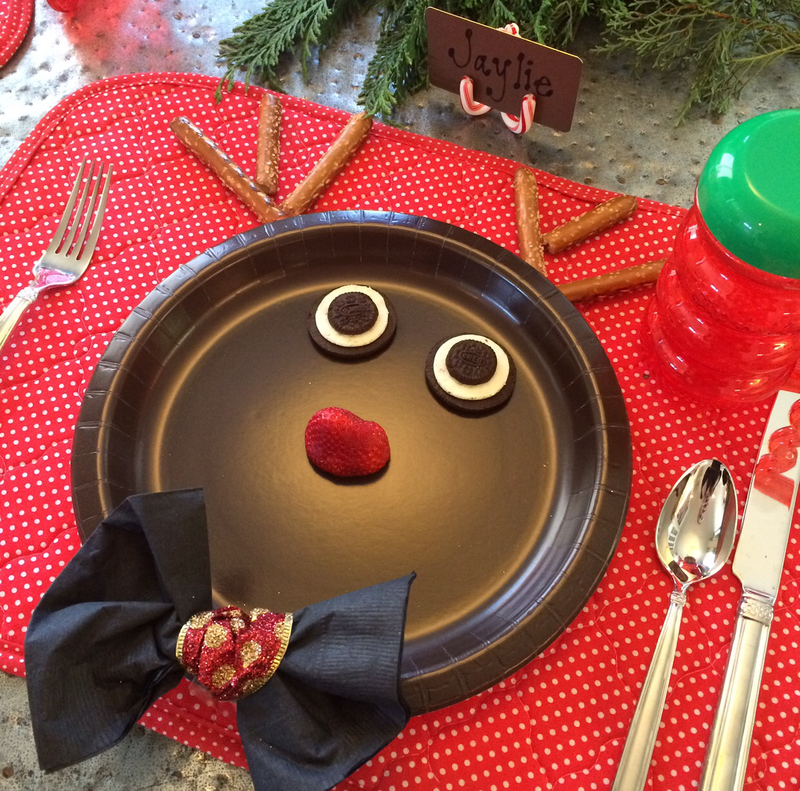 Last year we decided on a reindeer theme. The year before we did a snowman theme. On Christmas Eve, we go to candlelight services at our church & then come home & have lots of appetizers as we open up Christmas presents. 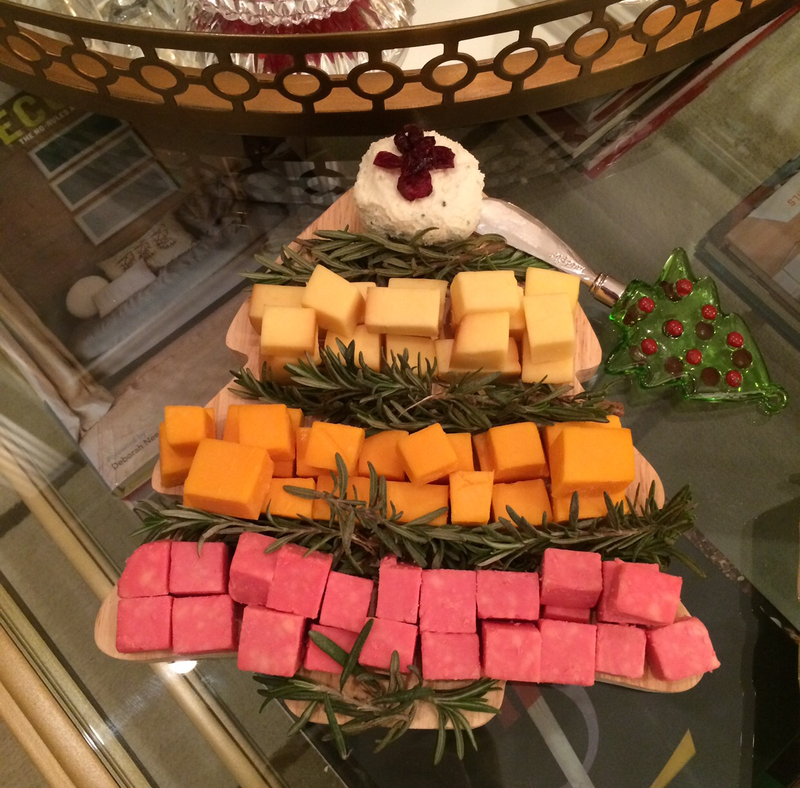 I found this Christmas tree cheese tray idea on Pinterest a few years ago & we do it every year. Just add sprigs of Rosemary between each kind of cubed cheese. The topper is Boursin cheese with cranberries on top in the shape of a star. 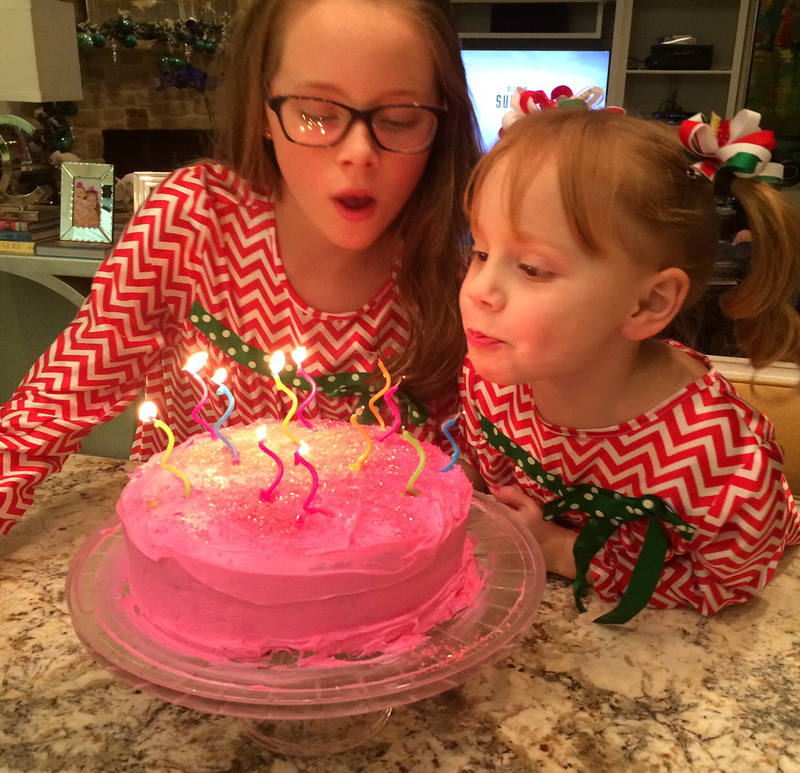 After we eat & open gifts, we bake a birthday cake for Jesus :-). This is my favorite tradition with my girls! On Christmas morning, I make themed pancakes for everyone. 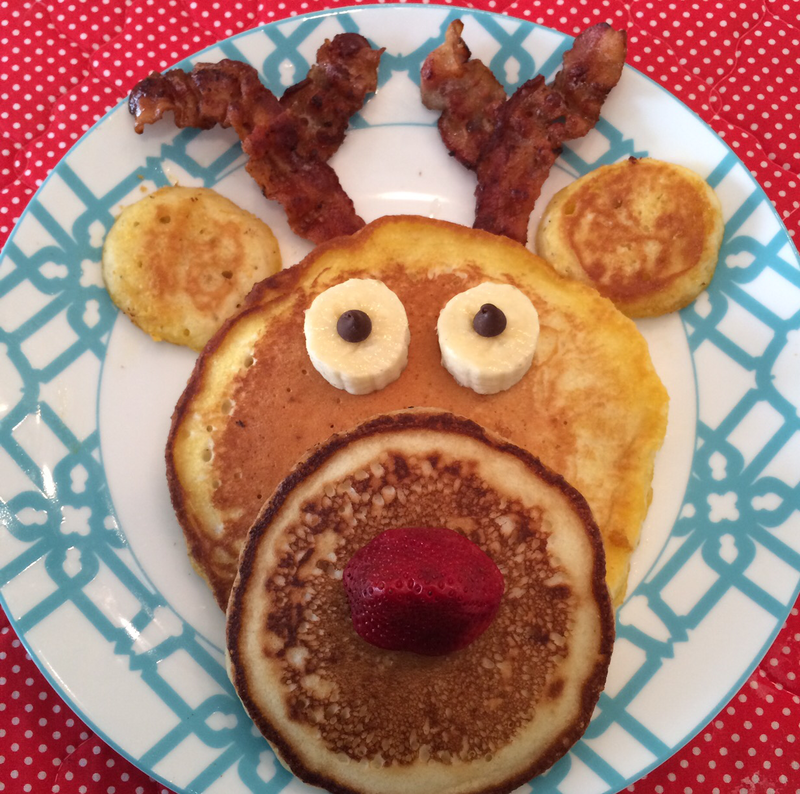 Last year we did Rudolph pancakes. 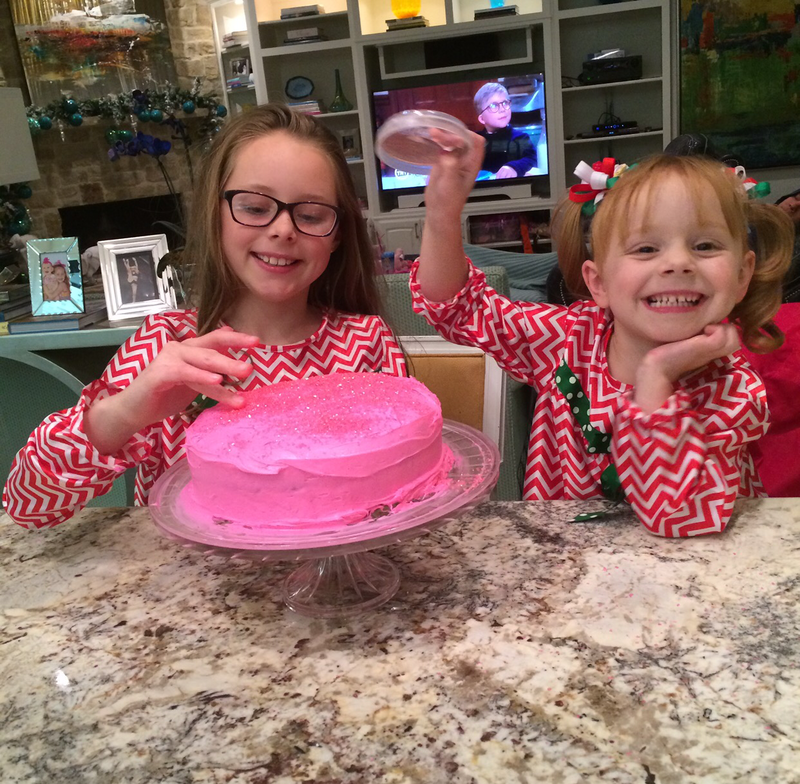 Thank you for letting me share some of my favorite Christmad traditions! I can’t wait for the week ahead! 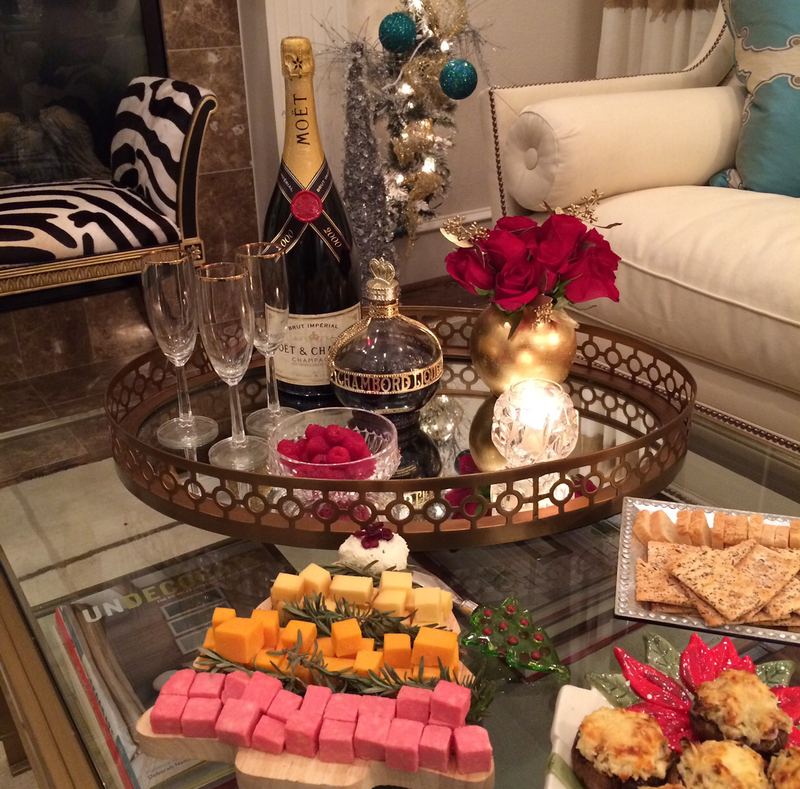 Wishing you all a very Merry Christmas week & cheers to slowing down & enjoying time with your family!